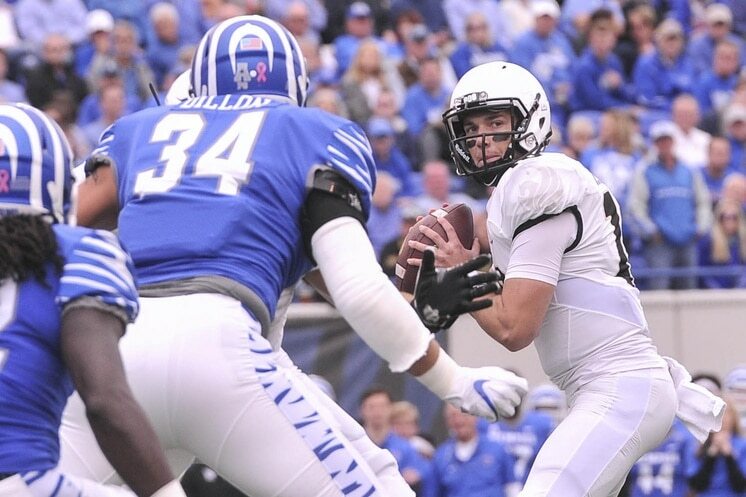 McKenzie Milton would not be denied. Down by six points in the fourth quarter and moving his UCF Knights into scoring range, he finished off the drive with a flying leap into the end zone. Right as he was nearing the goal line, Milton was met by a Memphis defender. He helicoptered into the end zone on a play that was reminiscent of John Elway’s famous Super Bowl run. This score, and the impending extra point, gave UCF a one-point lead over its rival in a must-win game for the Knights to remain in playoff contention.